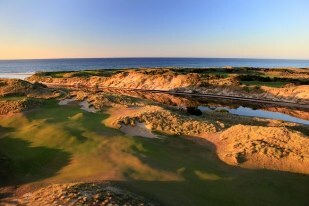 Rated as Australia's number 1 public golf course, Barnbougle Dunes is a decent trip from Hobart but had to be mentioned! Carved from the gently undulating dunes of the pristine Tasmanian coastline, U.S golf architect Tom Doak and Australia's Mike Clayton collaborated on the project and the result? A truely unique links golf experience. Wide fairways and challenging greens blanket the coastal dunes, framed by the breathtaking panoramas of Bass Strait and Tasmanian farmland. The ethos of the Barnbougle mirrors the traditional courses of Scotland and Ireland. After battling the elements relax with a nice glass of red and a chat with the always friendly members of staff. The arrival of golf in the Australian colonies is interwoven with the early development of the game in Scotland. Today, the Ratho golf links remain one of the world's best preserved, ancient golfing grounds. Bothwell, here in Tasmania's highlands, was settled by a boatload of pioneering Scottish settlers in 1822 who brought the game of golf with them. 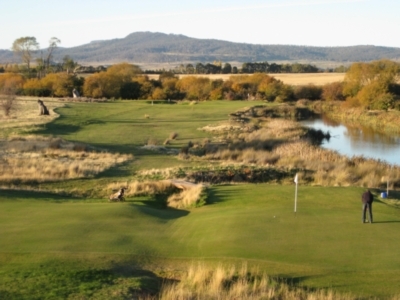 Today the Ratho Links is recognised as Australia's oldest golf course, and is the oldest known golf course, still existing outside of Scotland. The Ratho Golf Links is a public golf course. The green fee is only $15 for either 9 or 18holes, with funds going towards the maintenance and restoration of the golf links. 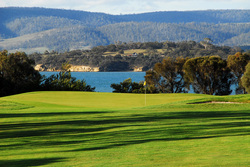 Tarraleah Golf Course is the highest in Tasmania and surely one of the most beautiful in the state. The course was constructed in the 1950s by Hydro Tasmania to provide entertainment for the original residents in the town. The parkland course was placed with European and native trees, many of which are now mature and add majesty to the course. The very pretty course with watered greens offers some challenges and the swaying waterlillies may sometimes be distracting. The course is a Par 65 with yardage of 5900. Full sets of new quality clubs together with trolleys are available at Adventure Tarraleah. Balls, tees, hats and sunscreen are available for purchase. 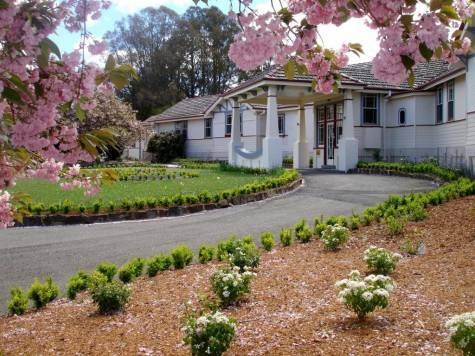 Bounded by water on three sides, the spectacular Tasmania Golf Club is set on the picturesque Barilla Bluff, just 15 minutes east of the Hobart CBD and only 2 minutes from the Hobart Airport. The par 72, ACR 72.9, 6,214 metre course was designed by Al Howard and opened for play in 1971. The result is a challenging, undulating course characterised by well bunkered, breaking greens that reward well thought out approach shots. 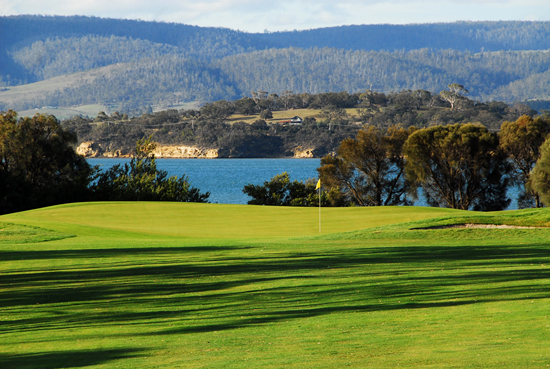 Tasmania Golf Club has hosted many significant events including the Australian Amateur Championship and the Tasmanian Open. On many such occasions the course has proved more than equal to the best professional players.